Share your “Magic moments with nature”, your eco or green art and expose your photographic skills. 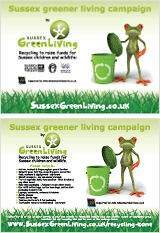 All you need to do is register as a contributor http://www.sussexgreenliving.co.uk/contribute/ and upload your photos. It is as simple as that! Have you ever seen a peacock in full flight? Well you have now!